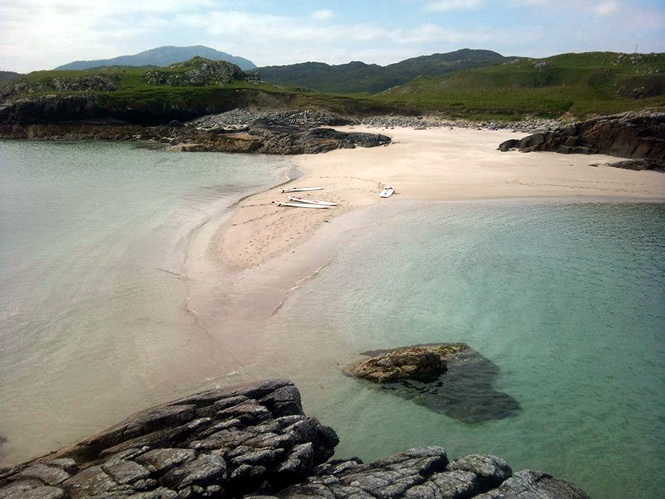 COME AND EXPLORE THE UNDERWATER WORLD OF THE HEBRIDES. 2 Hour Lesson - £40 per adult £30 per child. Introduction to Snorkelling learning how to safely explore a sheltered section of coastline. All equipment is provided: Wetsuit, Snorkel, Mask Fins, Hood and Gloves if needed. Your Snorkel session will consist of an initial safety briefing, introduction to using snorkelling equipment and then an explore of your snorkelling site. All our snorkelling guides are British Sub Aqua Club (BSAC) approved Snorkelling Instructors. All our lessons are based on flat water areas, you will learn the skills of Snorkelling, from familiarity of equipment and environmental awareness to surface diving and exploring. Tours are run on a minimum of 2 and a maximum of 6 people. Children must be over 10 years old and accompanied by a parent or guardian. To sum it up, this is just a great way to see the underwater world of the Hebrides. It's easy to learn and accessible, wetsuits are provided! Also Hoods, gloves and boots to keep you cosy in the water. So come and join us and explore the underwater world in Lewis and Harris. Snorkel sessions are available both in Lewis and Harris on a weekly basis have a look at our online booking pages for more info.